Sola Wood flowers, made from tapioca plants. are eco-friendly and last year after year! No more drying out flower arrangements or changing the arrangements in your home every two weeks to keep flowers fresh. The flowers are hand dyed and arranged to fit the decor of your event or home. We work with each customer individually to ensure each order is the right size, colors and style. They are easy to order - just visit our Etsy Shop. Eco Flower Bouquets are custom designed to fit your wedding. Bouquets for brides, bridesmaids and flower girls are available. We also create corsages and boutonnieres for weddings, homecoming and prom. 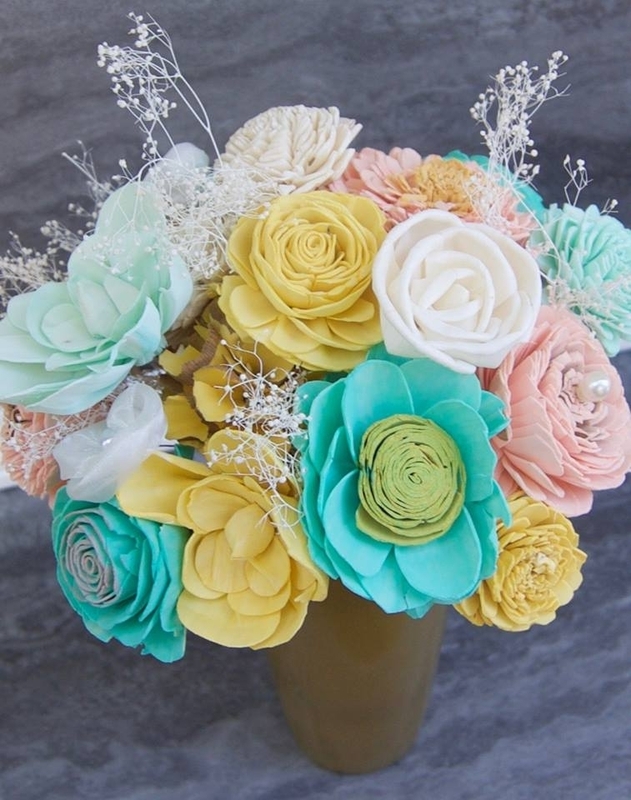 A variety of colors and arrangements are available for flowers including beautiful embellishments, if desired. Cost varies depending on specific item requested. Please give us a description of what you are looking for through our Etsy Shop (link above) or through email. Include color, height/size, desired (if any) embellishments and your time frame and we will send you a quote. For local orders, pick up and delivery are options. We also ship for those outside of the Chicagoland area. Eco Flower Centerpieces are custom designed to fit your celebration, whether it is a birthday, holiday meal, or your home decor. 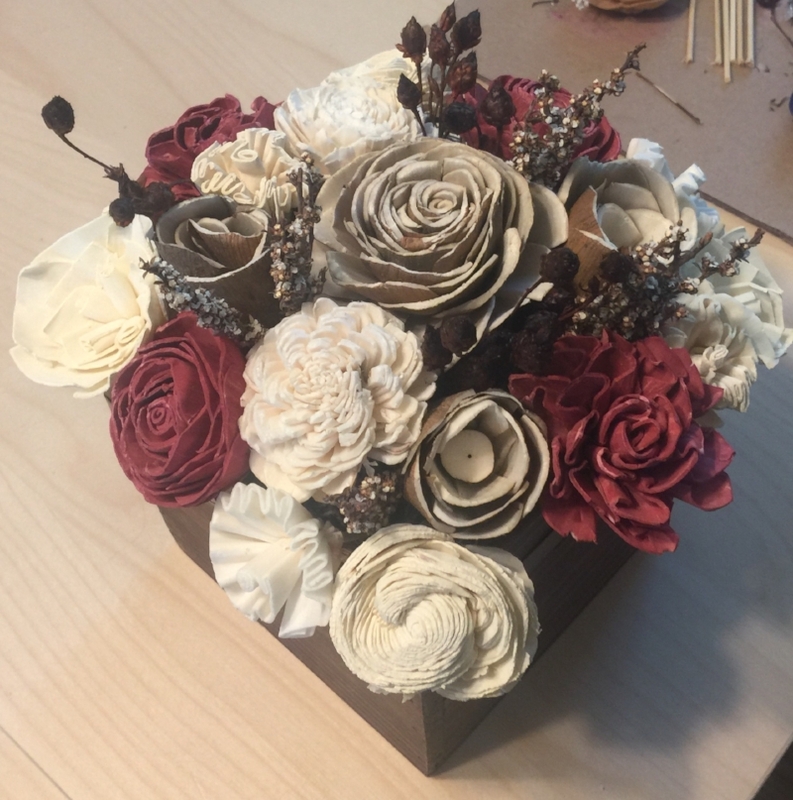 A variety of colors and arrangements are available for flowers and beautiful embellishments are available as well. Please give us a description of what you are looking for through our Etsy Shop or through email. Include color, height/size, desired (if any) embellishments and your time frame and we will send you a quote. For local orders, pick up and delivery are options. We also ship for those outside of the Chicagoland area.